We will be constantly updating this website. cultures and spirit of the Four Host First Nations, respecting each other and working cooperatively together, united within the sacred circle of life. each of the four First Nations. a face of each nation surrounded by the creator's eye. 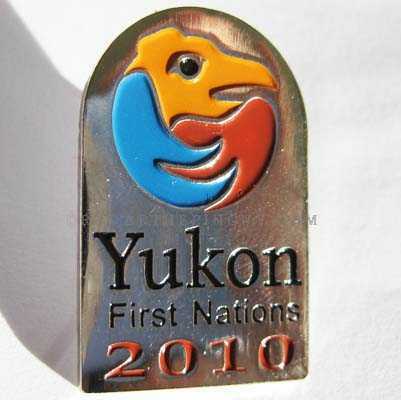 Awesome looking pin...A true piece of Native Art...Must have!!! of the Lil'wat, Musqueam, Squamish, and Tsleil-Waututh First Nations. 7" high 3.5 " wide. artist Charlie James in the early 1900's. along British Columbia's northwest coast. More collectables to be added soon. Keep checking back with us.